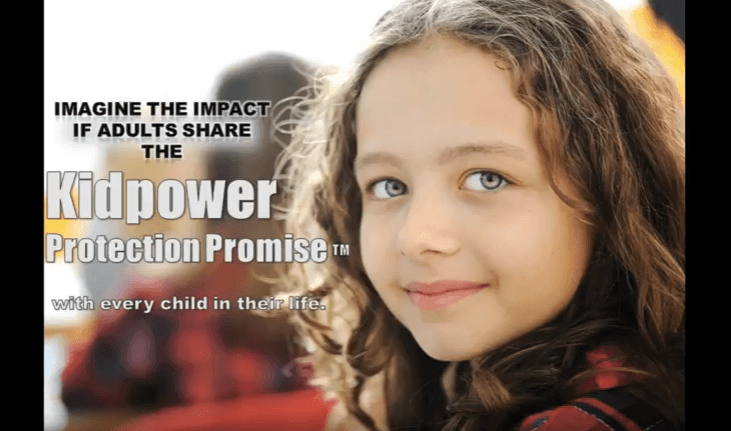 Kidpower provides educators and parents with knowledge, strategies, and skills – so they can protect children and teens from sexual abuse, bullying, abduction, and other violence – and empower young people to take charge of their own well-being and develop healthy relationships that enrich their lives. Schools and organizations can request permission to print our handouts and articles in their newsletters or to distribute print copies to their parents and staff. 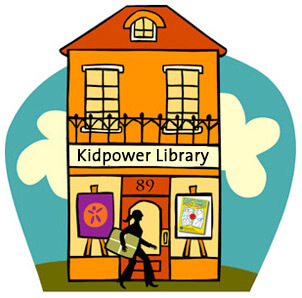 In addition, preschools and kindergartens can print our free Kidpower Coloring Book, which is available online in many languages, for their students. Many special education programs use our Kidpower Safety Signals for their students and What Educators Can Do to Reduce Risk Factors for Children With Disabilities: Protective Knowledge, Skills, and Actions from Kidpower for their staff. Any individual teacher, parent, or youth group leader can download and use one free copy of the Kidpower 30-Skills Challenge, which was originally created for Child Abuse Prevention Month in 2012, for their personal use in teaching young people. If a school, district, or service organization wants to make multiple copies of this publication for their staff, we can arrange that for a fee. A link for printing and permission to use information is at the top of every online publication. Coaches and youth sports leaders and parents can use our free Protecting Youth Athletes from Sexual Abuse videos and materials developed in partnership with Positive Coaching Alliance and the Green Bay Packers for training. Educators and parents can watch our video series 7 Kidpower Strategies for Keeping Kids Safe. Our workshops for schools include staff workshops, parent/caregiver education programs, parent-child workshops, and classroom programs with teacher involvement. We work extensively with special education programs as well as with typically developing students. Because our focus is on skills development and because adult leadership is essential in keeping kids safe, we prefer not to conduct assemblies with students, although we will occasionally make exceptions if this is the only way to make Kidpower available to a school. We work with schools that need financial support to apply for grant funding for our instructors to provide in-person training. In both Colorado and California, almost 70 percent of the services in schools we did last year were for low-income schools and were grant funded with no cost to the schools, although we do ask them to contribute what they can. 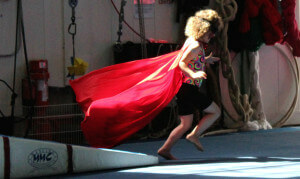 Schools often include Kidpower in their budgets. PTOs or Accountability Committees cover the cost or funding is generated through parent donations. The actual costs and times vary in different geographical areas but range from approximately $725 for a two-hour workshop to $2,000 for a four-hour staff training program or all-day classroom presentations, with reductions possible depending in the types and numbers of services needed. 3. Books and Long-Distance Consultation. Schools and youth organizations purchase our books ranging in price from $12 to $24.95 each to introduce, discuss, and practice ‘People Safety’ skills including boundary-setting and help-seeking skills. All of our materials describe how to adapt these skills for individuals with special needs.In the US, if one school or district purchases 20 or more copies of the same book sent to the same place, we can arrange for a substantial discount. Since the size of school districts varies widely, the numbers of books needed varies and depends on whether teachers are willing to share books or each want their own set. 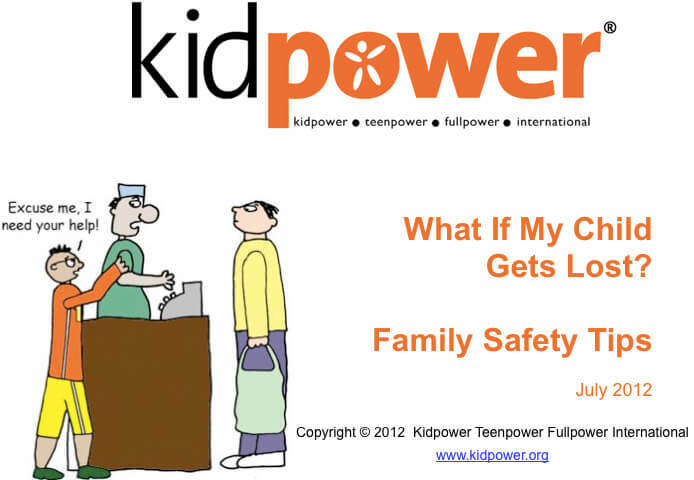 Contact safety@kidpower.org for discounts on volume orders. 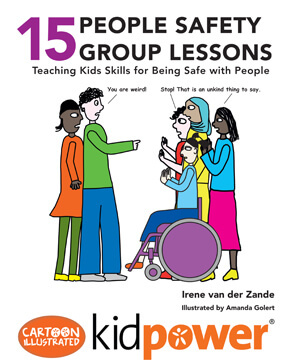 Teachers and health educators use our 15 ‘People Safety’ Group Lessons, which has cartoon-illustrated lessons, in their classrooms and groups – and our 10 ‘People Safety’ Assignments book, which includes permission to make up to 30 copies a year of the individual assignments. 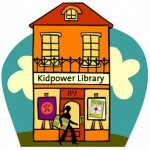 They also use our 6 Kidpower Teaching Books, which provide more extensive lesson plans and coaching guides. 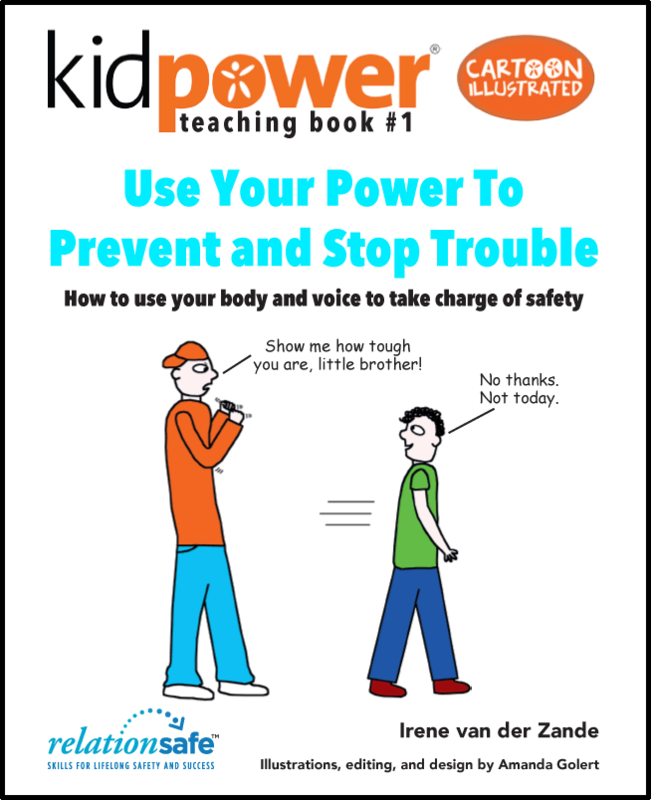 School counselors and administrators use The Kidpower Book for Caring Adults, Bullying: What Adults Need to Know and Do to Keep Kids Safe, and Face Bullying With Confidence: Creating Cultures of Safety and Respect for All Ages and Stages of Life for their own child safety programs and policies. Middle school and high school teachers use the Fullpower Relationship Safety Handbook for teaching dating and domestic violence prevention skills to teens.Educators buy our Safety Comics for Kids Ages 3-10 or our Kidpower Youth Safety Comics for Kids Ages 9-13 for their school libraries or even to give to each student. 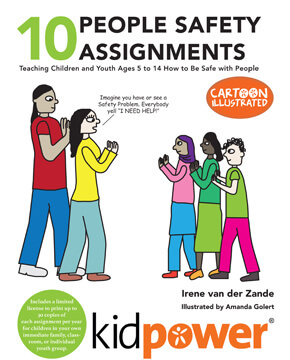 Physical education programs in middle and high schools use One Strong Move: Cartoon-Illustrated Self-Defense Lessons for their physical self-defense programs. 4. Kidpower Skills for Child Protection Advocates Training Institute. 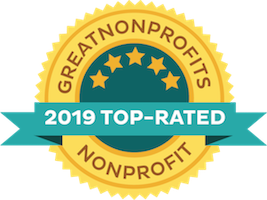 This three-day program prepares educators and other professionals, as well as parents and other caring adults, to use Kidpower’s intervention, advocacy, and personal safety skills in their own families, schools, and service organizations. 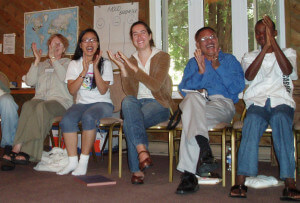 Participants learn Kidpower’s “Problems into Practices” Teaching Method for their own situations – and how to use learn to use Kidpower’s prevention, advocacy, intervention, and personal safety strategies and skills to take charge of the safety and well-being of the children and teens, including those with special needs, in their personal and professional lives. The cost per participant for preparation, a three-day program, and follow-up support is $1,250 – and one person could use this program to provide introductory safety skills lessons throughout their district. We are in the process of developing a Basic School Package that will make it easy to purchase materials in bulk. In the meantime, please contact us directly at safety@kidpower.org.